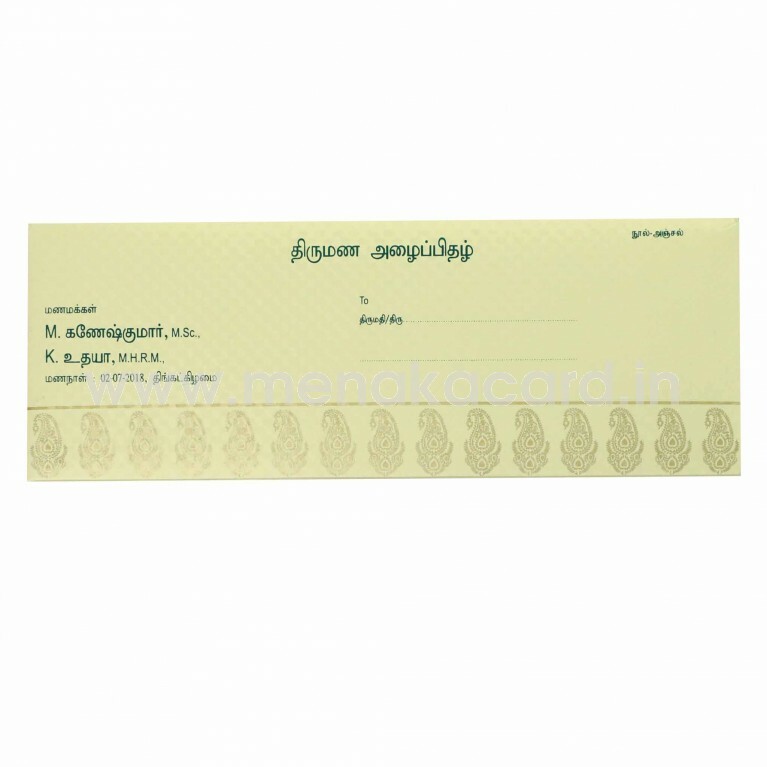 This Traditional Green and Gold Card is made out of a beautiful green shimmer board. The Card opens in a zig-zag letter like pattern to reveal a gold shimmer insert. 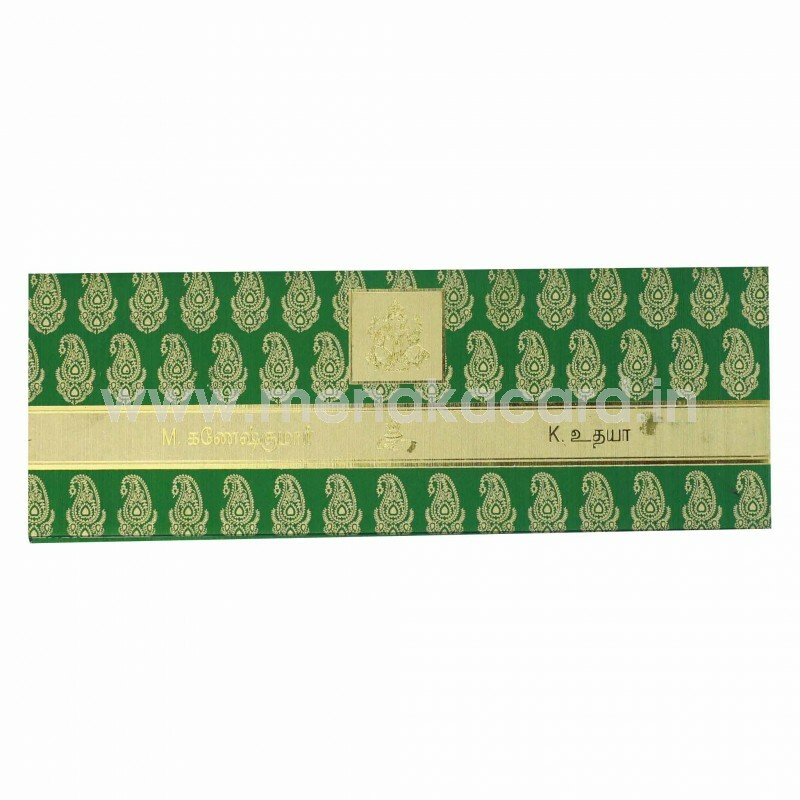 The Front of the card has elegant paisley mango designs printed in gold surrounding a beautiful Ganesha in a gold block, which is customizable as needed. The envelope is made of a stunning contrast gold shimmer board with the same elegant paisley designs. 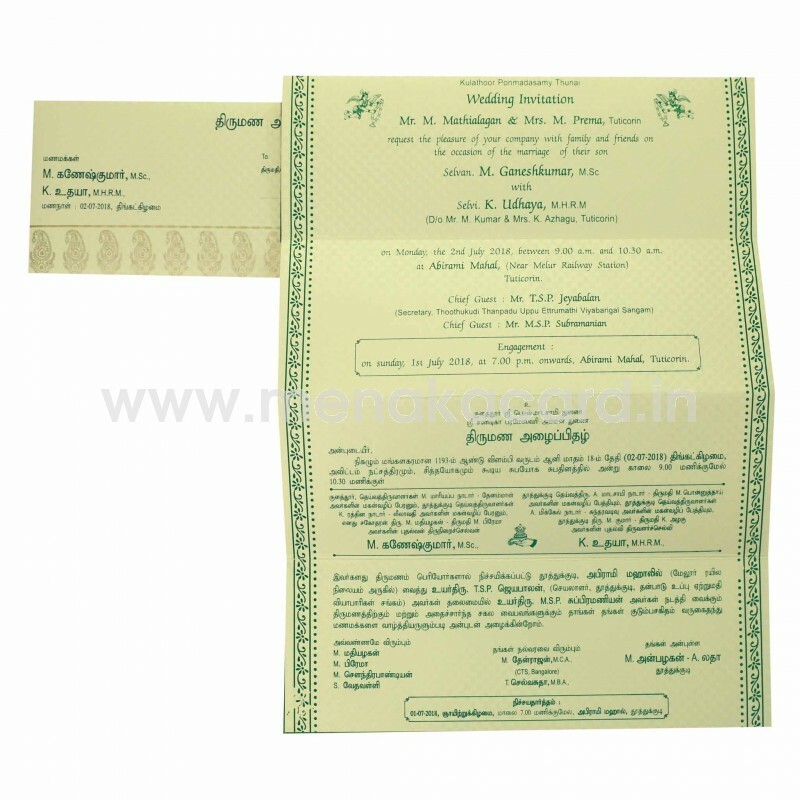 The card front has a beautiful gold ribbon border, with customizable symbols in the centre. This can be used for all occasions with a change in logo.